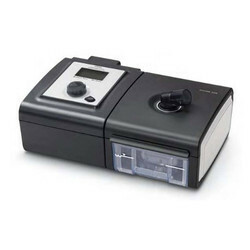 Prominent & Leading Importer from Kolkata, we offer dream station bipap pro, philips bipap machine, philips bipap auto bi-flex, dreamstation auto cpap machine, philips bipap avaps machine and lumis 150 vpap st machine. Automatically adapts to disease progression and changing patient needs. Maintains optimal patient comfort without compromising patient care and efficacy. Enables you to achieve optimum patient/ventilator synchrony. Recognizes and compensates for leaks. Automatically adjusts its variable trigger and cycle thresholds. Tap into EncorePro and EncoreAnywhere ventilation data management software. Access BiPAP AVAPS and BiPAP S/T ventilator data such as AHI, leak, clear airway apneas, and minute ventilation. Connect to your patients via wired and wireless modems plus an SD memory card. Any of your patients who develop chronic hypoventilation may find the BiPAP AVAPS a more comfortable and effective NIV therapy. For example, neuromuscular, COPD, and obesity hypoventilation patients are strong candidates for BiPAP AVAPS. 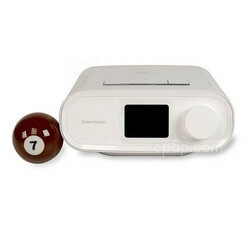 quieter, and easy-to-use device that you and your patients are sure to appreciate. Integrated alarms help maintain patient safety. System One humidity control analyzes ambient temperature, relative humidity, and patient flow to deliver optimum humidity – and ultimate comfort – to the patient while also dramatically reducing rainout. Philips Respironics revolutionized sleep therapy by introducing bi-level positive airway pressure technology to treat obstructive sleep apnea. Emulating natural breathing with pressure relief at inhalation and exhalation, this proven technology does more than provide highly effective therapy; it delivers a level of comfort that can mean the difference between compliance and noncompliance for patients having difficulty adapting to traditional CPAP therapy. As part of the System One sleep therapy platform, the bi-level technology in our BiPAP Auto and BiPAP Pro devices adds an additional level of intelligence to the industry’s most advanced system. 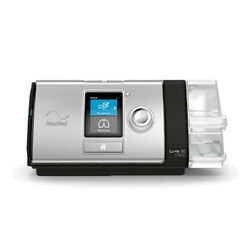 And the System One advancements continue with remote switching between bi-level and CPAP modes, increased humidity output and control, and dramatically reduced noise levels. The humidifier can be set in a standard heating mode which provides constant heat levels throughout the night, with both the humidifier and heated tube having heat settings of 0 to 5 with 0 being off and 5 being the highest heat. Adaptive mode is also available which monitors ambient humidity and automatically adjusts heat levels during the night to provide optimum humidity. AVAPS automatically adapts to your patient's changing needs: Average Volume Assured Pressure Support (AVAPS) maintains optimal patient comfort while supporting patient care and treatment efficacy. It automatically adapts to disease progression, improves ventilation efficacy, and simplifies the titration process. DirectView management and reporting software for breath-by-breath detail: This software streamlines reporting to help identify adjustments needed for effective treatment and patient care. DirectView allows clinicians to select and order parameters, and export data to statistical applications in an open format. Heated tube for more flexibility and patient comfort:The BiPAP AVAPS System One heated tube humidifier has a temperature sensor at the end of the heated tube to deliver the selected level of humidity to the patient, while providing protection against rainout. As a result, higher levels of humidity can be achieved for patients who could benefit from humidification. Digital Auto-Trak for advanced leak detection:This technology enables optimum patient/ventilator synchrony, recognizes and compensates for leaks, and automatically adjusts variable trigger and cycle thresholds. System One Resistance Control for complete system comfort:Resistance control enhances comfort by allowing the device and mask to work together optimally. Through simple settings, the technology instructs the device to compensate for variable resistance characteristics related to different masks. The result is synchronous pressure delivery and the assurance patients can enjoy the full benefit of our Flex comfort technologies no matter which Philips Respironics mask is used. System One alignment for a wide range of accessories:The BiPAP AVAPS noninvasive ventilator aligns with the System One product family, leveraging accessories across all Philips Respironics sleep therapy and Non-Invasive ventilator devices. 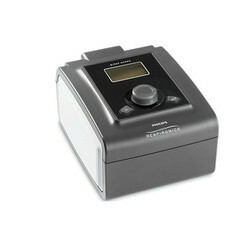 Lumis 150 VPAP ST is a noninvasive ventilator designed for non-dependent patients with respiratory insufficiency.Featuring ResMed’s unique volume-assurance mode – iVAPS (intelligent Volume-Assured Pressure Support) – Lumis 150 VPAP ST maintains target alveolar ventilation to suit each patient’s changing needs. Optional AutoEPAP ensures adequate EPAP is delivered to maintain an open upper airway – automatically, while an intelligent Backup Rate (iBR) encourages spontaneous breathing. Lumis 150 VPAP ST is also easy to set up and use. QuickNav for low-touch therapy adjustment:By simply double-clicking the home button on the device, you can quickly and easily toggle between the Settings and Monitoring screens. Climate Control Auto for automatic humidification When used with a HumidAir™ heated humidifier and ClimateLineAir™ heated tube, Lumis delivers humidification automatically – no settings to change and no complicated menus to navigate. So you can set your patients up to receive all the benefits of humidification as soon as they turn on their device. Ramp and Ramp Down for extra comfort: Lumis offers both Ramp and Ramp Down features to help patients ease into and out of each therapy session. Ramp reaches the prescribed therapy level gradually and comfortably, while Ramp Down gradually reduces the pressure support and EPAP to help ease patients off therapy. Supported by ResScan™ 5.4: ResScan 5.4 supports the features of Lumis including Enabling Essentials mode which allows patients to just press Start without worrying about settings or menus. It also provides 365 days of summary data, 30 days of detailed data and 30 days of high resolution data. Weight Approximately 84 grams (3 oz. ); weight does not include sensors or batteries. Enhanced Good Study Indicator: The Good Study Indicator (GSI) feature allows you to know how much good quality data has been gathered before the device is returned to your lab. Flow, effort and SpO2 signal quality is monitored throughout the night. In the morning, your patient can press the User Button and the GSI visually displays the amount of good-quality data in 25-percent increments. If a problem with a sensor significantly hinders the collection of good data, this is also displayed. Auto-on, recording starts as soon as belt is buckled: The “Auto-on” feature turns on the device as soon as the RIP belt is clicked in place; no need for patients to push a ‘start’ button. The integrated connection eliminates the need for an external effort wire set. The “smart guide” sequence guides patients through the setup process easily and provides feedback to the patient along the way. 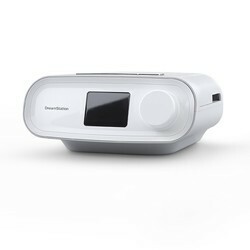 Bluetooth connectivity to therapy devices: A wireless connection is available to Bluetooth-enabled Philips Respironics’ PAP devices. 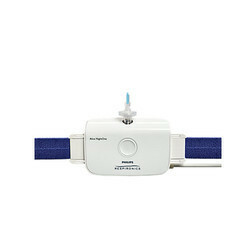 * This connection allows for the flow, pressure and leak therapy channels from the PAP device to synch and record with the Alice NightOne respiratory effort, SpO2 and body position channels. A clinician can use this studydata to measure efficacy of PAP therapy.